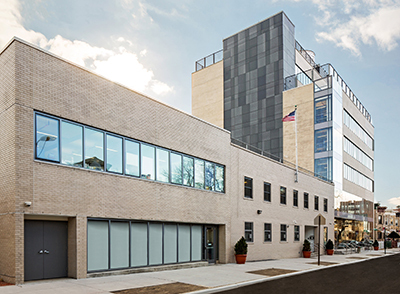 Bronx, NY MBI Group has completed a $20 million expansion for Bronx Charter School of Excellence as the construction manager and builder. The project consisted of a new seven-story tower along with renovation of an existing two-story annex to create an integrated school complex located at 1952-1960 Benedict Ave.
MBI Group provided pre-construction and construction services for the renovation and new construction project for the Bronx Charter School of Excellence, working with the school’s internal executive staff and design team on schematic drawings. Collaboration and value-engineering with the design team led to the final production to get this project completed on time and within budget. The architect on the project was CTA Architects P.C. The project was designed to meet and obtain a LEED Silver certification. MBI Group completed previous interior renovation projects for Bronx Charter School of Excellence.